How do I start my training as a baseball coach? My kids are starting baseball and I want to start coaching at the entry level with my local association. How do I find the programs and training I need? I want to become involved in coaching rep (travel) teams in my community. How do I start my training and what do I need? How do I check my certification and registration in the Coaching Association database? I already have coaching certification. What will happen to my certification under the new NCCP system? Will I have to take all my training again? What will I have to do to maintain my certification? I hear the discussion of 'In Training', 'Trained' and 'Certified'. What do these mean to me? Do I have to be 'Certified'? Do I have to take the 'old' Theory Courses or the new MultiSport Modules Part A and Part B? All coach training by Baseball Canada is now started through an on-line module at http://nccp.baseball.ca. Just type this URL into your computer address line. This site was developed by Baseball Canada as part of the Initiation Coach program. It is an inter-active self-directed training tool that you complete at your own pace and convenience. 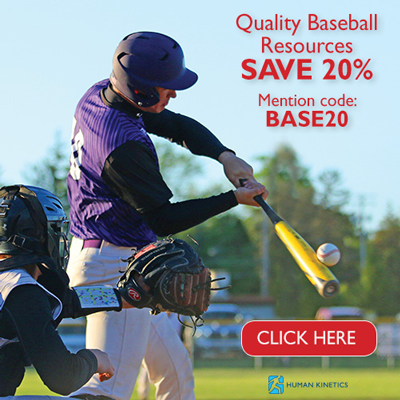 It costs $37.45 (including taxes) and gives you access to on-line video drills, materials, practice plans and skill development tools in an easy to follow format. You continue to have access to the site after completing the on-line portion of the entry course. The focus of this module is on the 'What to Coach?' side of coaching. Once you complete the course you will be given a choice of workshops where the focus will be on the \"How to Coach?\" side. An important part of the entry level coach training program is the Rally Cap program introduced by Baseball Canada. It is part of the new Initiation Coach program. The Initiation Coach is geared towards a coach who is entering the system with their children and will be coaching kids in a community or recreational setting. It stresses FUNdamental skill development with the emphasis on FUN. Entry to the training for this program and to Initiation Coach is through http://nccp.baseball.ca . Just type this URL you're your computer address line. Additional information on Rally Cap can be found through the provincial baseball association. All coach training by Baseball Canada is now started through an on-line module at http://nccp.baseball.ca . This site was developed by Baseball Canada as part of the Initiation Coach program and is also being used as part of the new Regional Coach (competitive coaching stream that you want to enter). It is an inter-active self-directed training tool that you complete at your own pace and convenience. It costs $37.45 (including taxes) and gives you access to on-line video drills, materials, practice plans and skill development tools in an easy to follow format. You continue to have access to the site after completing the on-line portion of the entry course. The focus of this module is on the 'What to Coach?' side of coaching. Once you complete the course you will be given a choice of workshops where the focus will be on the \"How to Coach?\" side. 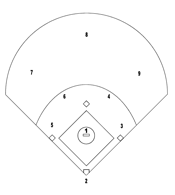 Baseball Canada formerly offered different technical levels of courses that coaches were required to take along with general coaching theory courses. In 2006, new programs are being introduced that integrate the theory components with the technical information. As an interim measure, coaches who complete the Initiation Coach follow-up Workshop will be granted the equivalency of the former Technical 1 level. If you want to coach at National Championships this year and require coach training, please contact your provincial baseball association directly for more information. If you know your NCCP (or CC) number, go to www.coach.ca. Click on your language of choice, and then click on the 'Check Certification' icon. Once you've entered your name and NCCP number, you can view your transcript (and print off a copy if you wish). If you do not know your CC number, send an email to your provincial baseball association and they will track down your number. Remember it takes 2-3 months after a course for the data to be entered. If you need confirmation in the meantime, your PSO now retains course register forms and we can confirm that you have taken the courses listed. Existing coaching certification will be 'grandfathered' into the new system. Equivalencies will be given for existing levels. If you meet the certification levels required today, you will continue to meet these requirements for the foreseeable future. Coaches who are entering the system and are progressing to their levels will be given the option to progress under either system - except that the Level 1 Technical has already been phased out. It is being replaced by the Regional Coach. If you don't have any technical courses, you enter the system as a new coach and start with the on-line self-directed module at http://nccp.baseball.ca . The coach training and courses already taken by coaches will continue to be part of the system. However, certification is now a renewable process. Previously somebody who took courses and achieved certain certification levels continued to hold that level forever, whether they actively coached or not, whether they were competent or not. A feature of the new NCCP is that Baseball Canada will renew the certification status of coaches every 3-5 years (to be defined for each context) upon the confirmation that the coach is actively coaching at that level / context and the coach has continued to take some continuing coaching education (such as attendance at regional conferences, coaching sessions or other development activities). Coaches who let their certification lapse will be able to re-enter the system by meeting certain criteria - such as a refresher session or update (may be on-line, or may be an update evaluation). If you continue to actively coach and attend an update sessions, you will maintain your certification. A feature of the new system is that the old status of 'Certified' is taking on a new meaning. Coaches will progress through different stages for each context in which they coach. The new system designates a coach as 'In Training' for a context when he enters the system and starts taking the units, then when the coach finishes the required modules that apply to that context they are designated as 'Trained'. To become 'Certified' then a coach goes through an evaluation process that will include completion of a Making Ethical Decisions module and testing (done completely on-line inter-actively), a review of a Coaching Portfolio or Workbook that you maintain and an observation session with a trained evaluator at a practice and/or competition. You should be aware that certification is not necessarily required for some coaching contexts. For example, the Initiation Coach program only requires that you be 'Trained' or 'In Training'. There is no requirement for evaluation (or 'Certification') for this context. As a matter of fact, most associations do not have a mandatory requirement for any training for their entry level programs. For some of the lower levels, it may only be required that you are 'In Training' or 'Trained' depending on the age level and the program. We are developing a tool for you to determine what you have to do at each stage. If you are already in the former system and want to continue to get certification through to Level 2 and Level 3 - you can take the new MultiSport Modules (the old Theory courses are no longer offered. Taking both Part A and Part B will give the equivalency of Theory 1 and 2. If you are new to coach training and coach a competitive team, we would recommend you take part in the new Regional Coach program being introduced this year. The MultiSport modules of Teaching & Learning, Practice Planning, Making Ethical Decisions, Nutrition, Mental Training and Program development are all integrated into the new baseball-specific training. If you are not sure, contact either your PSO and they'll help you.